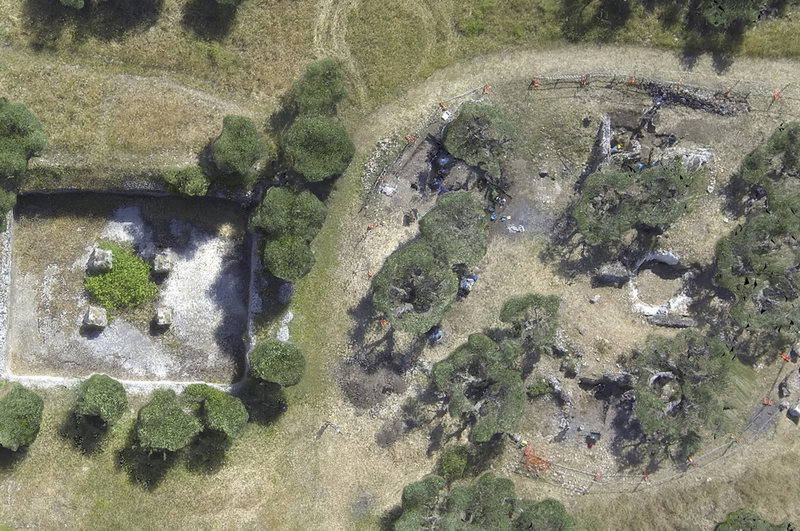 The 2019 Cosa Excavations Season is just around the corner. If you are an undergraduate who is interested in applying for a spot on our excavation team, click here! Our annual fundraiser with Cosa gear will launch soon. Keep an eye out for more information! Matthew Brennan’s 2018 Cosa video capturing the beauty of the Tuscan seaside, while also detailing the digital applications we’re using at Cosa. The latest Tweets from @CosaExcavations ! Newest 3D Model from The Digital Cosa Project! Following much investigation of the town's sacred and public areas, the current excavations bring into focus the baths complex and propose the beginning of a new relationship with the Soprintendenza per i beni archeologici della Toscana, grounded in both excavation and preservation initiatives. For many years the flagship of American archaeology in Italy, Cosa boasts a remarkable history that spans more than 1,300 years; founded on the eve of the first Punic war, it was destroyed sometime around 70 BCE and then substantially rebuilt under Augustus. Cosa overlooks the modern coastal town of Ansedonia, in the province of Grosseto. It occupies a promontory that enjoys stunning vistas over the Argentario Natural Park and the ancient harbor of Porto Ercole.